Discover all that Ho Chi Minh City has to offer with Legend Hotel Saigon as a base. 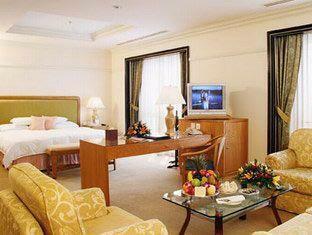 The Legend Hotel Saigon is a high-rise building with 283 fully equipped rooms. Room amenities include non smoking rooms, in room safe, internet access – LAN, hair dryer. Services and amenities available for guests at this Ho Chi Minh City accommodation consist of executive floor, safety deposit boxes, laundry service/dry cleaning, meeting facilities. In addition, The Legend Hotel Saigon's guests can enjoy the leisure and sports facilities provided on the premises: spa, massage, jacuzzi, pool (kids). 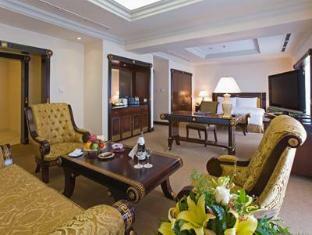 The Legend Hotel Saigon provides a warm and welcoming service of international standard. For your reservation at the Legend Hotel Saigon, simply submit your dates and complete our secure online reservation form.